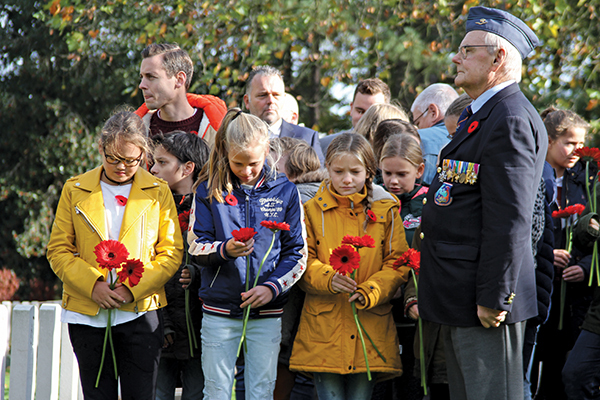 Children wait to lay their flowers at the Bergen-op-Zoom Canadian War Cemetery. The Netherlands was a neutral country when the Second World War broke out on Sept. 1, 1939, with Germany’s invasion of Poland. However, Germany invaded the Netherlands on May 10, 1940, pulling the country into the war. By May 17, it was under German occupation. The next five years were brutal for the Dutch people. The south was liberated by the end of 1944, but the rest of the country not until the first months of 1945, and not completely until German forces surrendered on May 5, 1945. 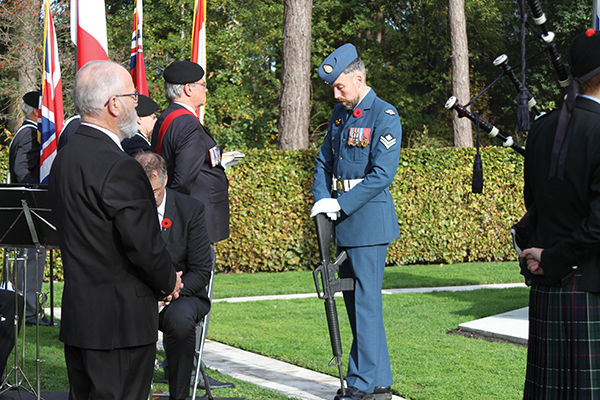 Canadian airmen, sailors and soldiers played a major role in the liberation of Holland and, to this day, the Dutch people gratefully remember their sacrifices. This gratitude and dedication to commemoration is in full evidence in October as my tour wends its way from south to north along Liberation Route Europe, an international remembrance trail that connects important milestones from modern European history. This five-day journey is like a walk through a history that, for the Dutch people, was irrevocably changed by the events of the war. Jaap Rus prepares to place a wreath commemorating the Battle of Walcheren Causeway. The Battle of the Scheldt was a military operation from Sept. 13 to Nov. 8, 1944, in which First Canadian Army led an assault that eventually allowed access to the port of Antwerp to aid the Allied advance to liberate Europe and cleared the Netherlands of Germans up to the Maas River. The hard-fought battle was won with a considerable loss of life. In the battle for Sloedam, this included 45 Canadians. Our group—myself, two fellow Canadians, a Scot and Gert-Jan Jacobs, our Liberation Route guide—gather to honour that sacrifice on a rainy morning at Monument Sloedam The Causeway in the province of Zeeland. Here we meet Jaap Rus. 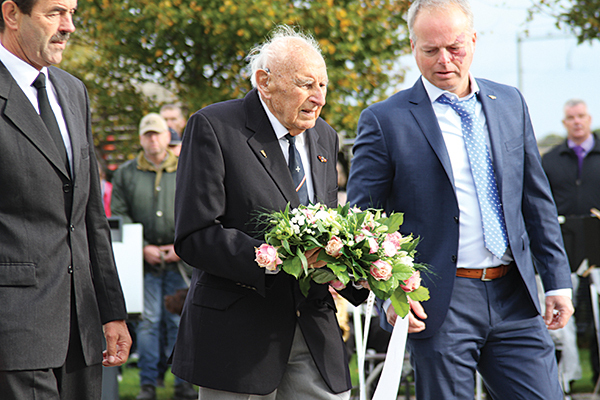 In his 90s, Rus is the last remaining member of the Dutch resistance in the province of Zeeland and he lays a wreath at each commemoration. As the ceremony begins, the sky lightens and the rain turns to mist, then stops. Even though most of the ceremony takes place in Dutch, I sense the respect the people have for the Canadians who fought to liberate their country. Dignitaries and government representatives place wreathes, and as Rus rises slowly to his feet and makes his way to the memorial, all eyes are on him. Quiet settles over the crowd before a rush of photographers captures the moment. Afterward, I am told that Rus has others lined up to take his place should the time come that he is no longer able to fulfill this duty. But today is not that day. We return to the square later that evening to watch as children and adults, led by Mayor Frank Petter and his wife Elna, parade through the street carrying signs bearing the names of Canadian hometowns of soldiers who are buried at the Bergen-op-Zoom Canadian War Cemetery. Cornwall, Winnipeg, Saint-Jérôme, Lowbanks and Montreal float by on green signs with a large white maple leaf. It is another way the Dutch people involve their youth in remembrance. The next day is crisp and clear. Even though it is late fall, the deciduous trees still hold much of their foliage and the grass is strikingly green. There is a calmness to the pastoral scene that rushes past the van window as we head to the Bergen-op-Zoom Canadian War Cemetery for the Memorial Day of Canada commemoration ceremony. There are two war cemeteries here. To the right as you enter are row on row of white headstones in the Bergen-op-Zoom War Cemetery. There are 1,284 buried here, including 45 Canadians. A short walk down a path and to the right spreads the 1,118 tombstones of the Bergen-op-Zoom Canadian War Cemetery. Nine hundred and sixty-eight of the graves are Canadians, most of whom died during the Battle of the Scheldt. As members of The Royal Canadian Legion Branch (the only branch in the Netherlands) form up at the entrance, Sabine Nölke, Canada’s ambassador to Holland, and Mayor Petter make their way to seats to the right of the cenotaph. A moving ceremony follows, paying tribute to those who gave their lives so that the men, women and children of Holland could be free. Children holding long-stemmed flowers wait patiently until it is their turn to place them in front of the memorial. 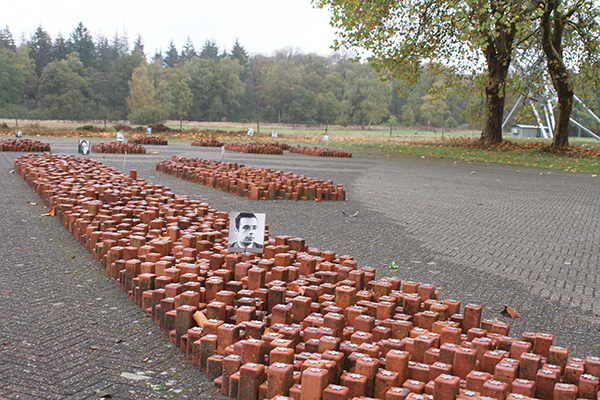 This story stays with me as we tour Kamp Westerbork, in the northeastern province of Drenthe. The camp was built by the Dutch government as a refugee camp to house Jews illegally entering the Netherlands after escaping Germany. However, Germany took over the facility on July 1, 1942, after invading Holland and it became a transit camp for Jews, Romas and resistance fighters who were destined for the gas chambers of concentration camps such as Auschwitz. From 1942 to 1944, 107,000 people were housed at the site and 102,000 were transported and killed. There is little left of the physical camp, as it was torn down in 1971. As we walk down a tree-lined trail, mounds of grass-covered earth outline where the camp’s 120 barracks once stood. Large billboard-like signs show pictures of the camp as it was; others depict people lined up to board trains. Belongings in sacks slung over their backs, they look like ordinary travellers. They were unaware of their destination—they thought they were going to work camps. children in the camp. When he heard that the children were being deported, he volunteered to accompany them to Auschwitz. The stones are powerful reminders of how inhumane humans can be to one another. Jewish refugee Salo Carlebach stands above stones representing each of the 102,000 refugees sent to concentration camps. The headstones in the Holten Canadian War Cemetery are powerful reminders as well, reminders that good does conquer evil. But at a terrible cost. Thirteen hundred and fifty-five Canadians are buried here. These men gave their lives in the successful effort to liberate the northern and eastern Netherlands. We visit Holton just as dusk is approaching. The walkway to the Cross of Sacrifice memorial is flanked with multicoloured heather that blooms at various times so that there are blossoms year-round. As we stand among the headstones in the waning light, Ab Waakop-Reijers from the Information Centre Holten tells the story of how the ritual of placing candles on the graves on Christmas Eve came about. Leena van Dam was walking in the cemetery and saw the headstone of a Finnish soldier. She asked if anyone lit a candle for him on Christmas Eve, because in Finland, it is tradition to burn a candle on Christmas Eve for those who are buried. When she asked the Commonwealth War Graves Commission, which oversees the cemeteries, if she could put a candle on the Finnish grave, they gave permission, but with the caveat that she had to place one on every grave and she had to provide candles for five years. She agreed. 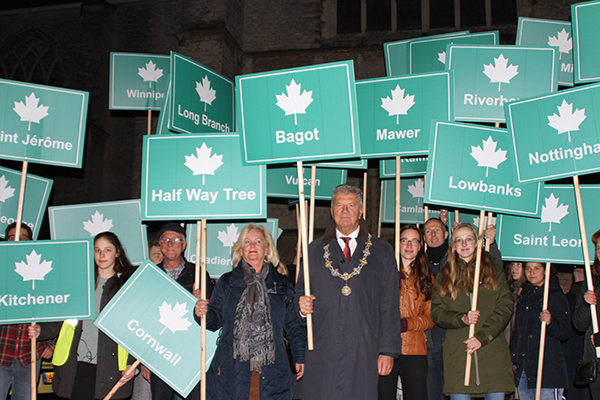 Bergen op Zoom Mayor Frank Petter, his wife Elna and townspeople pay tribute to Canadian soldiers by carrying signs naming their hometowns. A Canadian airman stands with reversed arms. In the spring of 1945, the Dutch were fully free from their German oppressors as city after city was liberated by First Canadian Army and other Allied forces. Cities such as Groningen, whose buildings—those few still standing after liberation—bear the scars of bullets and grenades. It is humbling to touch the pockmarked surface of the Martinitoren (St. Martin’s Tower), the highest steeple in the city, and as I walk the cobblestoned Vismarkt (great market), where tanks rumbled and Germans fled, I imagine the thundering guns and the shattering of rubble hitting the streets. In the peaceful calm of an evening walk along the medieval streets of Appingedam, it is hard to imagine a time when there was not peace. The town looks as it would have 500 years ago. This city too has scars, but in the fading twilight you see only rows of red brick houses, lights just starting to peek through windowpanes. Pub signs invite patrons inside. There is no rush, no hurry, no fear. It is a peace that every Dutch person must have felt intensely on the days following May 5, 1945. 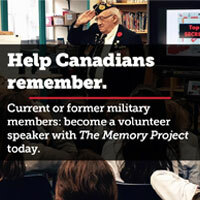 And it is obvious from the care they bring to their commemoration ceremonies, Canadian war cemeteries and war museums that they are eternally grateful to the more than 7,600 Canadians who gave their lives and the thousands of others who fought and survived. As the 75th anniversary of the liberation of Holland approaches, the Dutch are gearing up again to show their gratitude to Canada. In my visits to the Liberation Museum Zeeland, the National Liberation Museum Groesbeek, the Museum de Casteelse Poort and the National Liberation Museum 1944-1945, I met so many of those who have dedicated decades of their lives to preserving this very difficult piece of Dutch history. I felt proud, not only of the Canadians for their bravery and sacrifice, but for the Dutch who, after three quarters of a century, still remember. 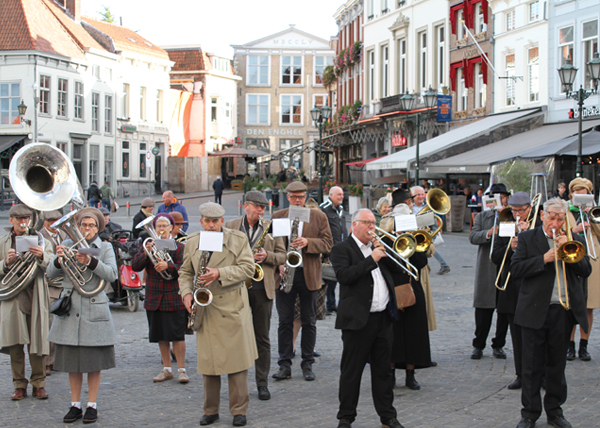 A brass band greets a tour group arriving at the Grand Hotel de Draak.